Trump to give workers' tips to bosses. Really. Abandon the proposal to allow employers to steal workers' tips! Did you know that the federal minimum wage for the 10 million restaurant workers in the U.S. is $2.13 an hour? 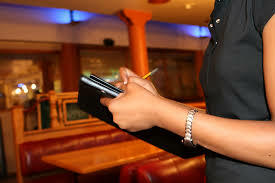 The workers--70 percent women, and 40 percent mothers--are forced to rely almost entirely on tips.2\ It's unfair, but it's about to become more unfair: one of Trump's cabinet nominees is considering making it legal for employers to confiscate tips. Labor Secretary Alex Acosta is planning to get rid of tip protection for workers and allow employers to dictate how much tip money, if any, workers can keep. It's shameless. This scheme is has been moving along quietly, but if Acosta suddenly saw public backlash he may just pull the plug on his plan. That's why UltraViolet is partnering with Restaurant Opportunities Center and Presente to stop Acosta from subjecting women to legal wage theft. Will you sign to send this message to Labor Secretary Acosta?